Derek Zoolander didn’t walk on the runway for very long. On Monday, march 10, Ben Stiller was in full spirit for the Maison Valentino runway show at Paris Fashion Week. The ‘Along Come Polly’ star got a warm welcome and Zoolander’s arch nemesis Hansel who is played by Owen Wilson. At the event the announcement about the sequel was also made. Paramount Pictures tweeted, “So hot right now: Derek & Hansel blaze down the @MaisonValentino runway, #Zoolander2 announced. 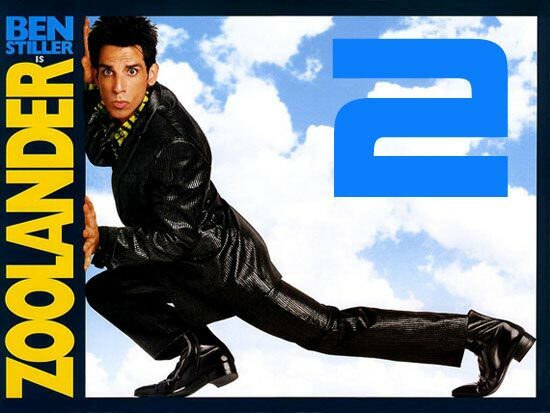 Coming Feb. 12, 2016.” Stiller added, “Apparently Derek and Hansel have come to terms on #Zoolander2,” via Instagram. Amir Khan is a master in building curiosity and the same he has done with his upcoming film ‘PK’ which will hit the silver screen on December 19. It is known to everyone that Aamir’s character in the film is named ‘PK’ which is also the title for the film. The reason behind naming Aamir’s character in the film as PK is not revealed yet. The makers of the film have recently released a first dialogue promo of the film in which it is told why Aamir’s character name is PK. You must watch the video yourself to know the secret. PK is directed by Rajkumar Hirani. The story of the film revolves around a stranger in the city who asks questions which no one has asked before. PK is innocent like a child. He will be taken on a journey of love, happiness and the boundations of letting go things. This film along with Aamir Khan also features Anushka Sharma, Sushant Singh Rajput, Sanjay Dutt and Boman Irani. Till the film is released on December 19, satisfy your curiosity by watching the first dialogue promo of the film. Why ABCD 2 Shoot Halted? Remo D’souza is these days busy working for the sequel of his 2013 film ABCD. Varun Dhawan and Shraddha Kappor are playing the lead roles in the film. The story of this film is based on a dance group of Mumbai. The film’s shooting was started in September and is finished with its second schedule in October. But after that the film’s shooting is halted. It is rumored that the reason behind this is financial problem. The director and choreographer of the film Remo quashed the rumors saying that the halt in the film’s shoot is due to visa delay. He clarified that the next schedule of the film will be shot in Los Angeles. But as they are not getting the visa so it has caused the delay in the schedule. He also said that the makers have now decided to shift the third schedule of the film to end of December. Aamir Khan is popularly known as ‘Mr. Perfectionist’ as he loves perfection. The star said that his role in his upcoming film PK is the most challenging role of his career. Aamir is working with Hirani for the second time. Earlier, both of them worked together for the super hit film 3 Idiots. Hirani said that it took him five years to complete PK. 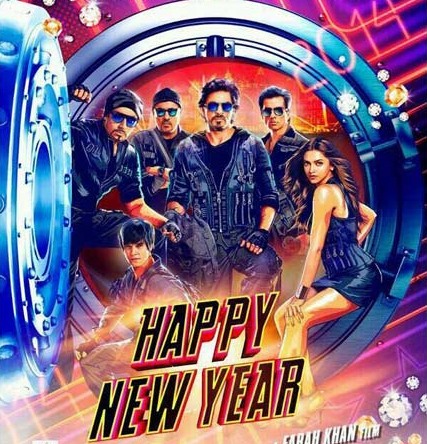 Farah Khan’s directorial venture, Happy New Year is soon to hit the theatres. With its star studded, Om Shanti Om cast of Shah Rukh Khan and Deepika Padukone, its unique and responsive promotional strategies and the absolutely chart busting music, The film has already created a massive air. It would have been a double dhamak this Diwali had the dates for the flick not been postponed for a day. The reports state that the film will be released on October 24th instead of the previously scheduled date of 23rd October. The shift in the release date has been made keeping in mind the auspicious Durga Puja to be performed in the evening all through the country. There had been the fear of cutting down on the box office treasure as the viewers wouldn’t be able to turn up due to Diwali celebrations and Durga Puja. In order to prevent any loss in box office return, the much awaited film will see its release on a Friday instead of a Thursday. The move apparently looks smart enough, no? With the change in release dates, it seems the film is about to get much more success than it would have if it would have been released a day before. The biggest film of this year, Shah Rukh Khan starrer, Happy New Year is one such flick that everyone wants to attach their trailer with. With the trailer Amir Khan’s much awaited film, PK being released the same day as Happy New Year, Farah Khan’s directorial venture is HNY’s trailer is a hit. 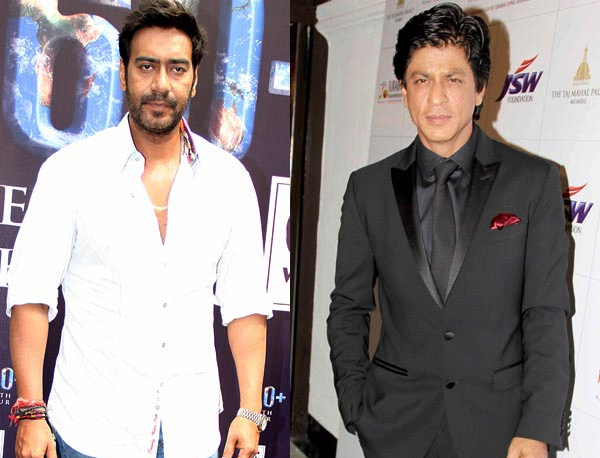 We are getting news of the agreement between SRK and Ajay Devgn of letting Devgn’s Action Jackson trailer released with the musical extravaganza of the King Khan. Yeah, the rumors about the same have long been taking rounds but this time, the news is said to be pretty much confirmed. We aren’t surprised with this piece of information or are we? Don’t we know that during the shooting of Singham Returns, Khan had dropped on the sets and patched up with Ajay Devgn then and there? Also, the iconic hug they both shared had actually shocked the charmer of Singham returns, Kareena Kapoor Khan as well as Rohit Shetty. It seems the whole Action Jackson trailer attached with Happy New Year’s had long been on cards!